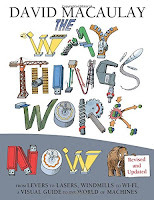 David Macaulay updates the worldwide bestseller The New Way Things Work to update us with the the latest developments in technology, from touchscreens to 3D printers. Each principle is captivatingly explained--with the help of a very endearing woolly mammoth. 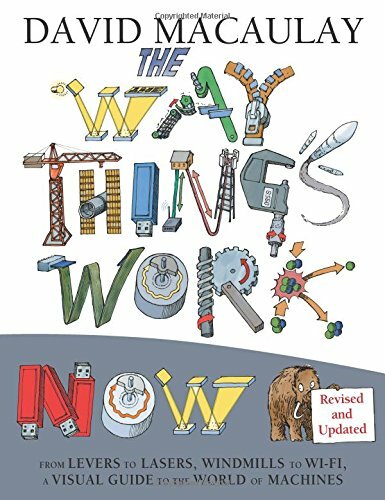 There is an illustrated survey of inventions, along with a glossary of technical terms, and an index. What possible link could there be between zippers and plows, dentist drills and windmills? Parking meters and meat grinders, jumbo jets and jackhammers, remote control and rockets, electric guitars and egg beaters?